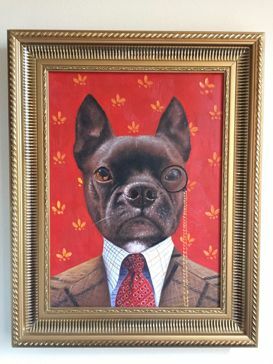 outrageous pet oil paintings on the internet. We are proud to be an international small business. and can be found traveling exciting places all over the world. that celebrates your Splendid Beast. Ben now has a dog named Gizmo (pictured below).